Cape Town – Minister of Finance Nhlanhla Nene has told Parliament that National Treasury would protect South Africa’s poorest citizens from the impact of the increase in the value added tax (VAT) rate to 15%. The announcement of a one percentage point increase to the VAT rate was made by former minister of finance Malusi Gigaba in February. The hike came into effect on April 1. 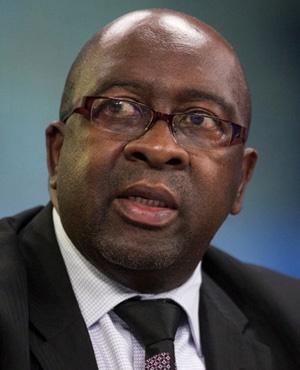 Tabling his budget vote for National Treasury on Tuesday, Nene told MPs that the poorest and most vulnerable South Africans would be protected from the brunt of the changes to the VAT rate. “A panel is reviewing the zero VAT rated products and the impact of the VAT. They will submit a report to me by June and we will work to ensure that the poorest of the poor are not hardest hit by the VAT rate,” he said. Nene also said South Africa must improve tax compliance and tax morality. “[The] VAT increase has taken effect. We thank South Africans who continue to pay tax and the staff at the South African Revenue Service for their hard work during the most trying times. And [the] tax agency, like Caesar’s wife, must be above suspicion,” said Nene. The one percentage point hike in the VAT rate, which government expects will add R22.9bn to its coffers, has been criticised by opposition parties. Inkatha Freedom Party Mkhuleko Hlengwa on Tuesday said it was an "unforgivable sin" for National Treasury to bring about the VAT hike. United Democratic Movement MP Nqabayomzi Kwankwa, meanwhile, said other measures should have been considered before exposing the poor to a VAT hike. EFF MP Floyd Shivambu said his private members bill, the Banks Amendment Bill, would seek to ensure that government could establish financial institutions that would operate in the fiscus in the interests of South Africans.